One AI trend to watch out for in the healthcare industry is the rise of artificial intelligence in the medical imaging. Besides the fact that AI will result in improved accuracy of medical imaging diagnosis, it will also make it much easier to personalize treatment planning and transmit results. Not only will this enhance productivity in the radiologist community, but profitability can be attained sooner than expected. While AI was once viewed as a threat in the medical imaging community, not anymore. Demand for, and interest in, AI in the radiologist community has increased significantly in the recent past and investment in AI imaging technology is on the rise. Investments from tech giants like Tencent, Alibaba, and the partnership between NVIDIA and Nuance are just a few examples of high-profile investments in AI medical imaging in recent times. In fact, research has revealed that there has been a rapid increase in capital investment in companies developing machine learning solutions for medical imaging in 2018. This trend is expected to continue well into 2019. Whether it is patient-physician communication, or communication between different healthcare organs, the healthcare industry’s communication problem is one that can be most easily and quickly addressed by AI, and that we can expect to see serious developments in as early as 2019. Statistics show that 80 percent of serious medical errors are due to miscommunication between caregivers during patient transfer. AI can, and will, more effectively address these communication issues. Already, we’re seeing signs of progress in healthcare when it comes to AI and communication: Apple already launched the ResearchKit and CareKit framework that allow researchers and developers to create medical apps to communicate with and monitor patients. This has resulted in development of apps like mPower that use finger tapping and gait analysis to study patients suffering with Parkinson’s disease. Healthcare centers like the Mayo Clinic are already embracing AI in communication with patients: besides making it possible to schedule appointment with physicians, the app can also deliver test results to patients and enable in-app doctor-patient communication. In 2019, we can expect to see significant progress when it comes to the use of AI in healthcare communication: whether it is communication between health centers and patients through the use of apps and chatbots, making it easy to schedule appointments with healthcare centers, or simply ensuring fast and efficient delivery of information requested by patients. 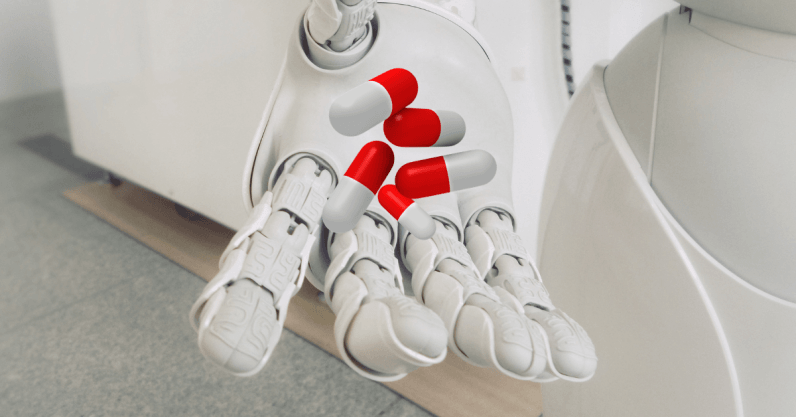 According to research by Accenture, effective application of AI to medical dosage error reduction can result in a savings of $16 billion for the healthcare industry by 2026. Medication and dosage errors are one of the leading causes of unanticipated but easily preventable death or serious injury in the healthcare industry today. AI is most renowned for its ability to process and interpret vast amounts of data, and this will serve as a major advantage in 2019 and beyond — this will help make application and administration of medications with the precise dosage easy.